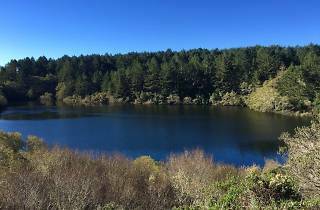 Consisting of a network populated by 19 habitable campsite and structures, Mount Tamalpais State Park is a mecca for any outdoorsmen (and women) from all walks of recreational life. 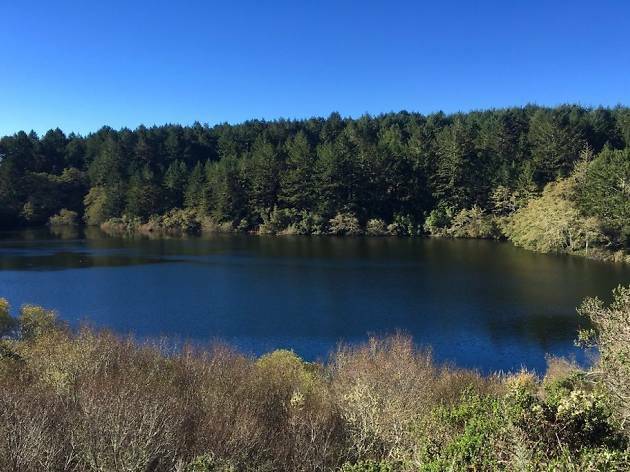 Landscaped by 6,300-acres of senior redwood groves, there’s incredibly rich hiking to be had at just about every trailhead. In fact, there’s around fifty or so miles worth of moderate to difficult hiking routes weaving through the area, many of which are accessible just yards from the tent-only campsites. For the waterfall hunters among us, Cataract Loops Trail will leave you spellbound and gobsmacked—even after completing the 7.7-mile there-and-back hike to see cascading white waters. But, for the undisputed best viewshep in the area, take the Mount Tamalpais Summit loop to sit, near-as-much, 2,500 feet above sea level. On a clear, fogless day, you can see well into the bowels of San Francisco, Oakland, and even as far west as the Farallon islands. Aside from the lush hiking, healthy, well-stocked salmon rivers can be fly fished here, as well; horseback riding trail, too, can be had just outside the reservable horse stable and group campsites at Alice Eastwood Group Camp. Primitive tent-only campsites and cabins can be found at Steep Ravine Camp, the first camping area you’ll see upon parking.